We present a formal model for concurrent systems. 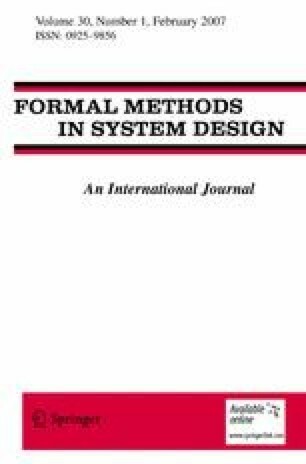 The model represents synchronous and asynchronous components in a uniform framework that supports compositional (assume-guarantee) and hierarchical (stepwise-refinement) design and verification. While synchronous models are based on a notion of atomic computation step, and asynchronous models remove that notion by introducing stuttering, our model is based on a flexible notion of what constitutes a computation step: by applying an abstraction operator to a system, arbitrarily many consecutive steps can be collapsed into a single step. The abstraction operator, which may turn an asynchronous system into a synchronous one, allows us to describe systems at various levels of temporal detail. For describing systems at various levels of spatial detail, we use a hiding operator that may turn a synchronous system into an asynchronous one. We illustrate the model with diverse examples from synchronous circuits, asynchronous shared-memory programs, and synchronous message-passing protocols.